This radio followed me home from a flea market and I am trying to find out what it’s mission was. 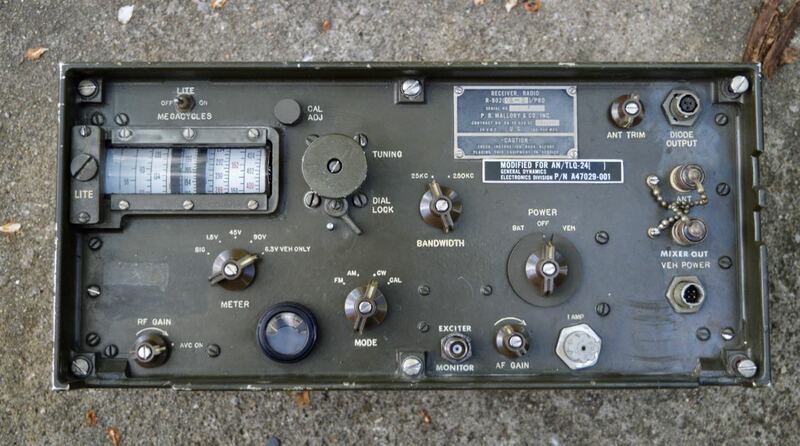 I think it is a surveillance radio from the Vietnam era because of it’s low serial number #7 R-902 (XE-2)/PRD. I can’t seem to find anything on it. 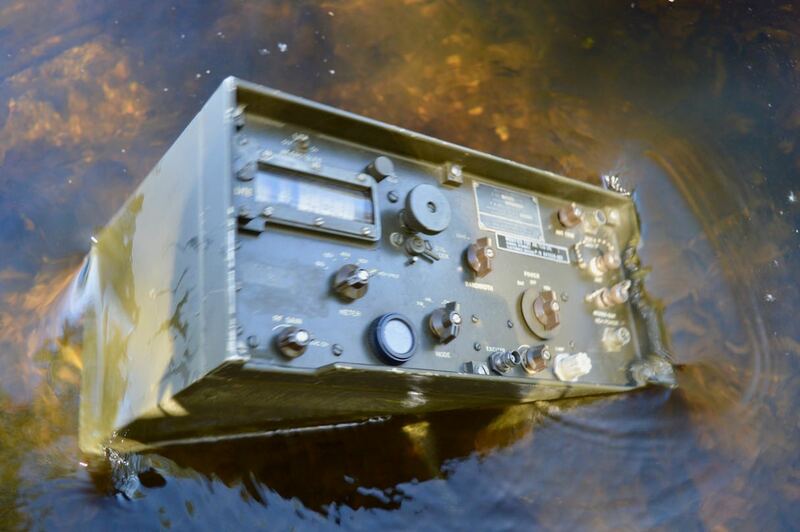 It tunes from 96 to 404 MHz FM AM CW is battery powered and is totally waterproof (this would be the radio to take white water rafting) . I would like a schematic or manual for it. Does anyone in SWL world know anything about it? Wow! I’m afraid I would have taken that heavy metal home with me too, Edward! And it’s waterproof? What a bonus! 🙂 Actually, I imagine since it’s waterproof, the internals are likely well-preserved. 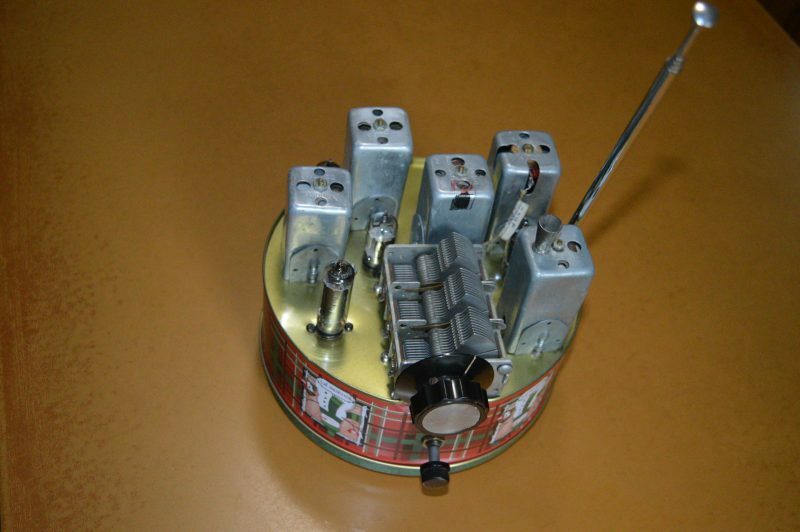 Post readers: If you can shed some light on this model R-902, please comment. If you have a service manual or schematic, I’m sure Ed would appreciate a link/copy! This entry was posted in News, Nostalgia, Radio History, Radios, Shortwave Radio, Vintage Radio and tagged Edward Ganshirt, Military Radio, Military Receivers, R-902, R-902 Military Receiver on May 17, 2017 by Thomas. 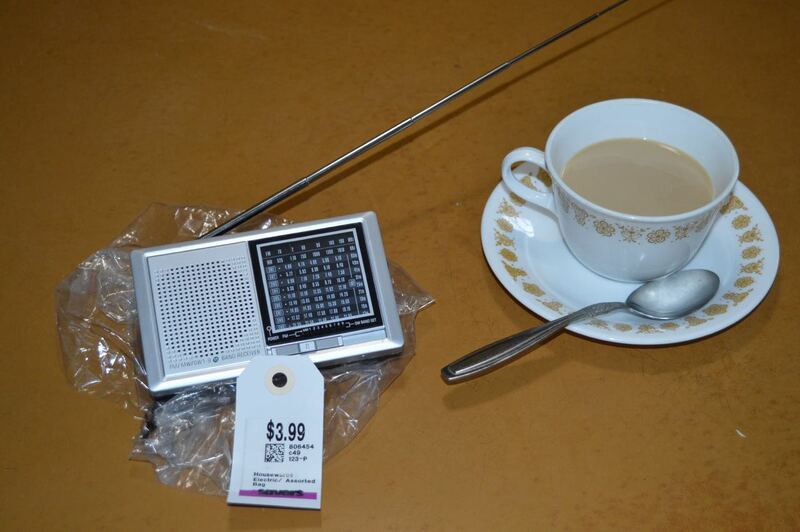 I spotted this “keychain” radio [pictured above] at a Savers thrift shop. Savers is a chain of thrift stores in the Northeast that is an outlet for Goodwill and possibly others. What caught my eye is (in addition to price) an 11 band radio: AM, FM and 4.75 to 21.85 Mhz in 9 short-wave bands. It has no brand markings (or FCC id) and of course made in China. I purchased it for less than a latte at Starbucks and brought it home. It uses 2 AA penlight batteries and has a 14″ telescoping antenna. Turning it on demonstrates its low performance. It has ample sensitivity on FM but difficult to tune clearly. AM band is better. Shortwave is a different story. It contains 2 chips: A CSC2822 stereo audio 8 pin dip and a 16 pin CSC2003P “jungle” chip. Comparing app notes to the receiver reveals short cuts in the design. 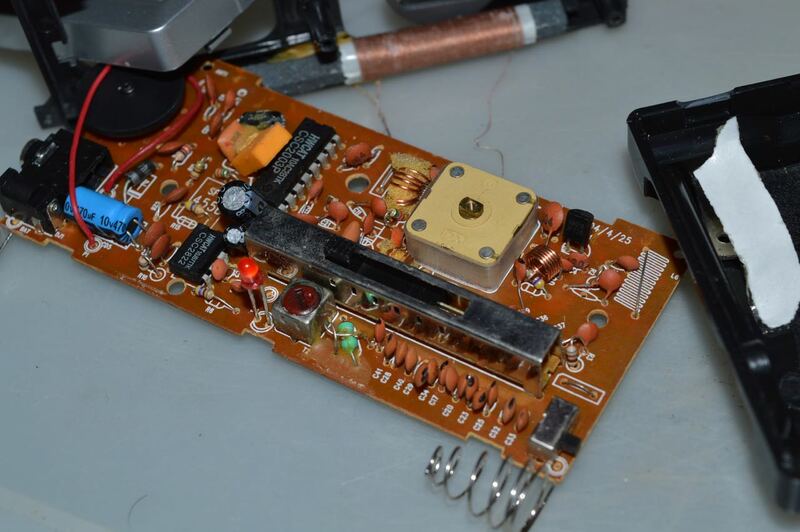 Just absolute minimalist component count–only one 455KHz IF filter. 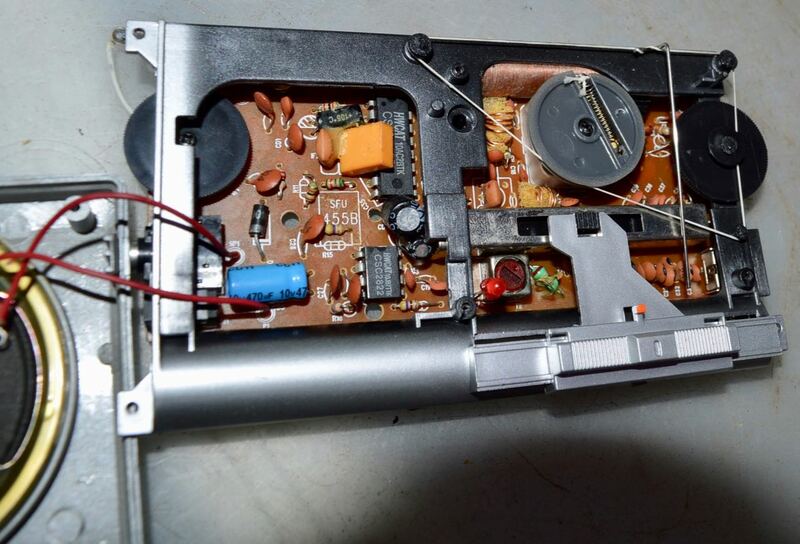 Fortunately, it has a ferrite loopstick antenna. (That explains why it works on AM. There is less IF bleed-through on AM). Using a signal generator, on shortwave reveals non existent image rejection, beat notes on harmonics of the local oscillator (yes it is a superheterodyne). This is a radio to take to the beach. 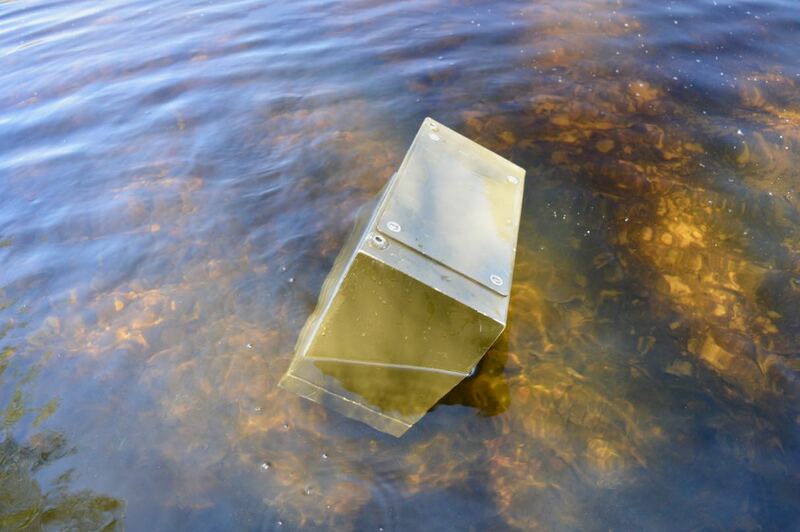 If the tide grabs it and washes it into the ocean or a sea gull snatches it, you would not be disappointed. In my opinion it was a bit steeply priced. You don’t win them all but I will still go to Savers in the future for other buys as they present themselves. Thank you for your report, Edward. I think what is highlighted here are the shortcomings of inexpensive–truly “cheap”–radios. They have only the most basic components, regardless if they resemble a quality radio aesthetically. 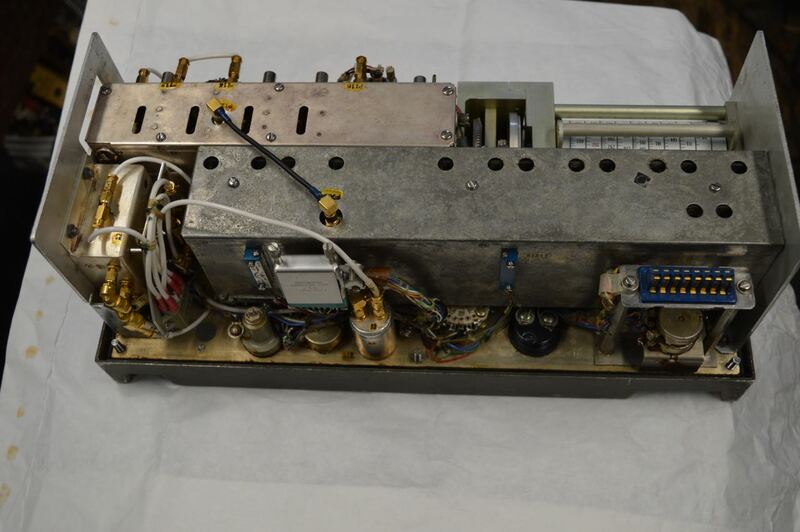 Edward listed the hallmarks of a cheap analog receivers: overloading, stiff inaccurate tuning controls, mediocre sensitivity/selectivity, poor audio, and poor shielding. Thanks for pulling this one apart and taking a look inside, Edward. This entry was posted in AM, FM, News, Reviews, Shortwave Radio, Shortwave Radio Reviews and tagged Analog Radio, Cheap Shortwave Radios, Edward Ganshirt, Shortwave Radio, Shortwave Radio Reviews on April 7, 2017 by Thomas.